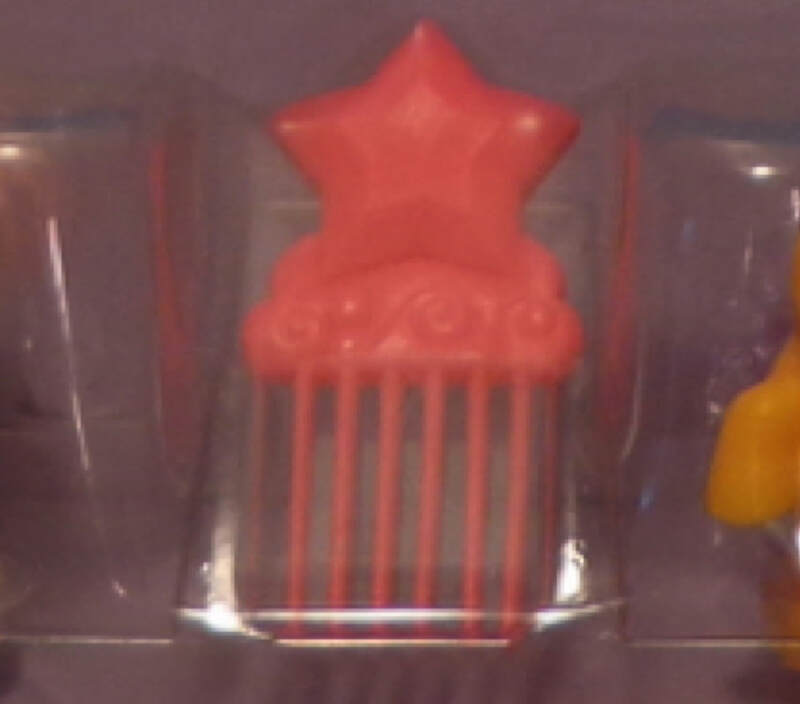 These come with a few Hasbro toy lines. 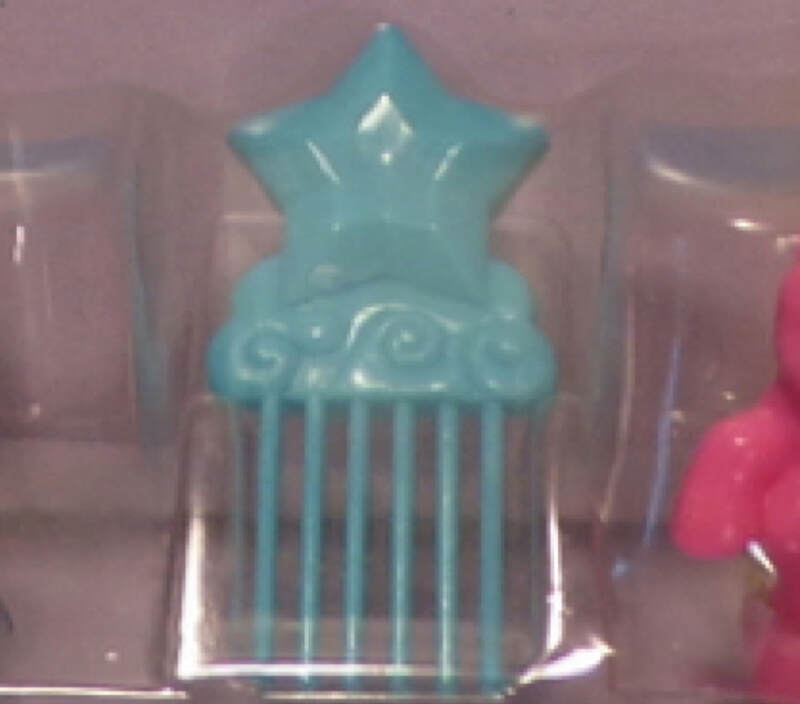 The Pearly ones belong with the Moondreamers toys while the matt ones came with Petite Ponies and Dream Beauties. 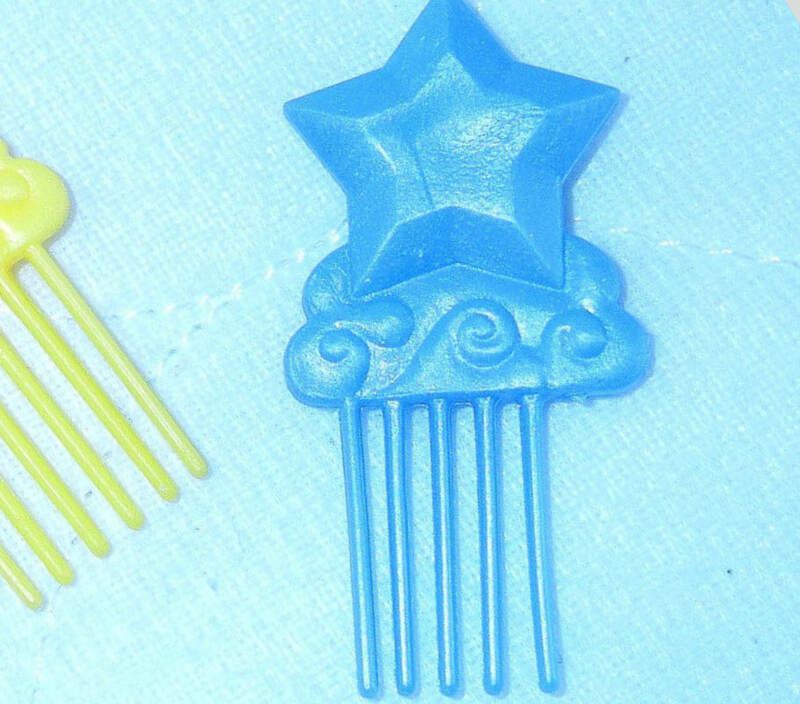 I've added some Moondreamer Picks from photos I found but I don't know anything about them so information would be welcome. 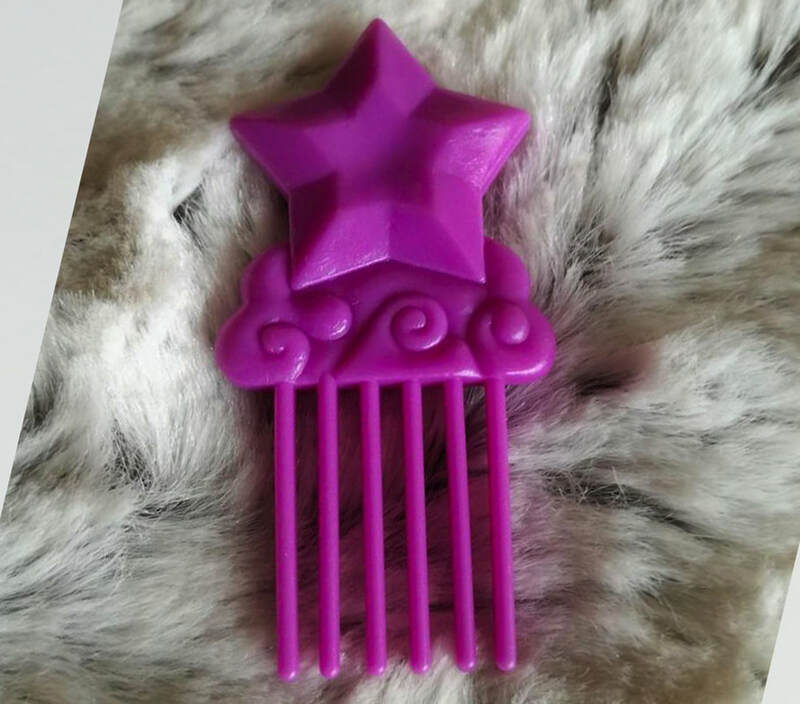 Unique Combs - 7 Character Ponies. 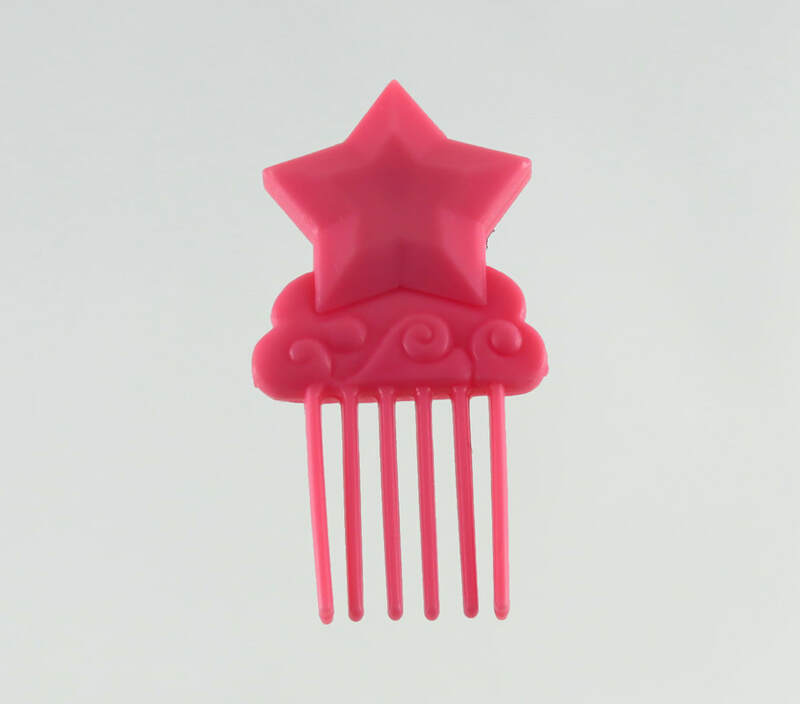 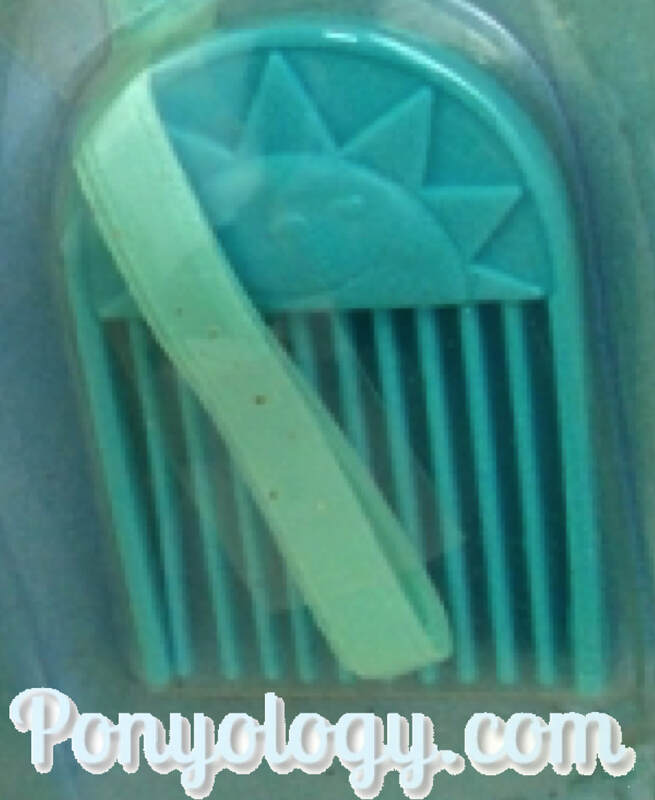 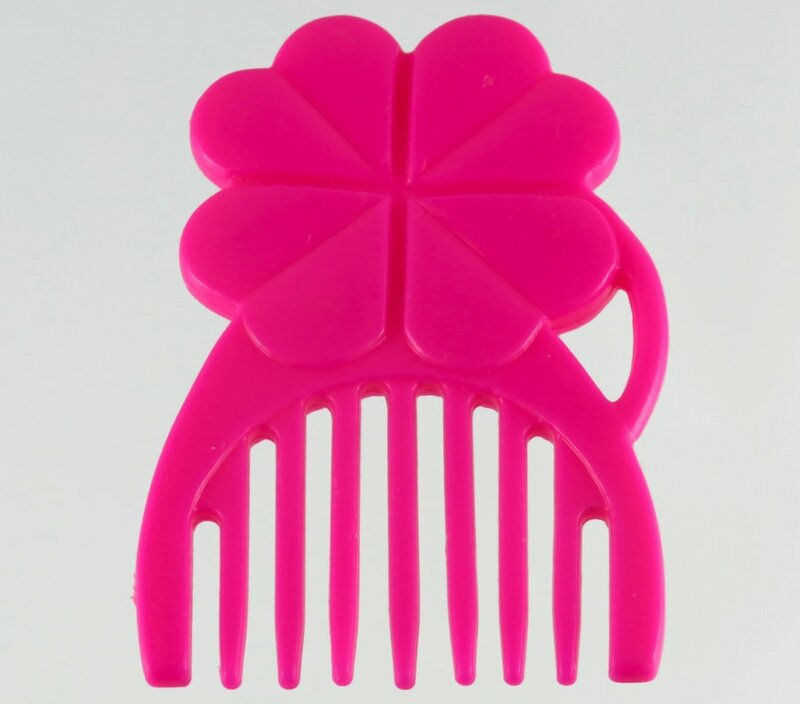 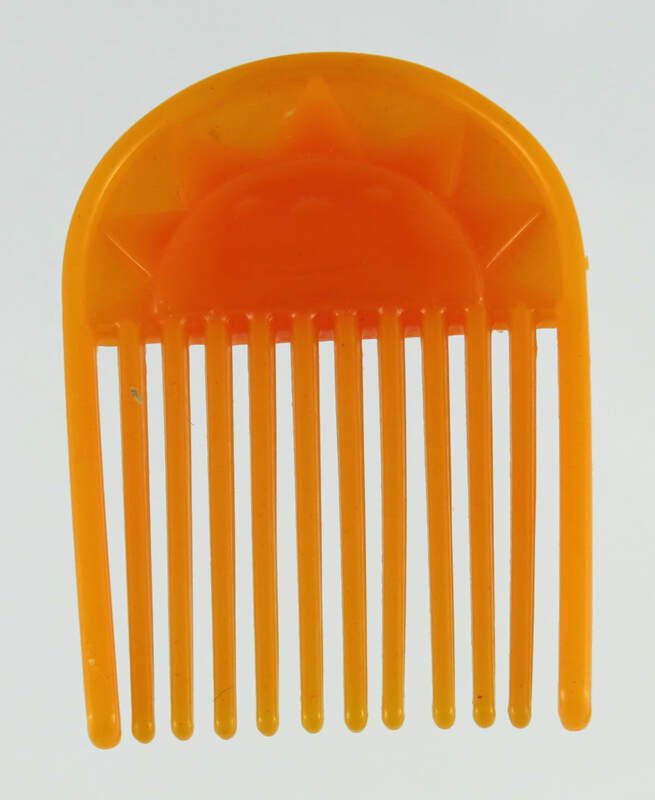 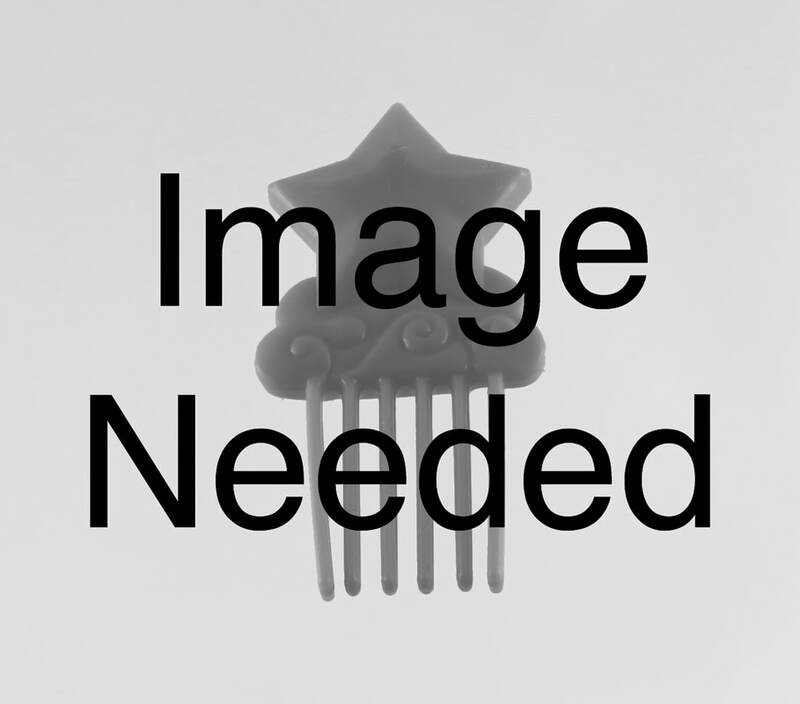 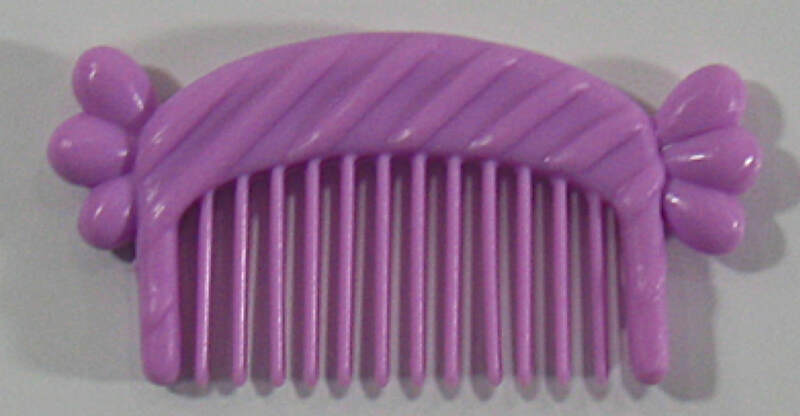 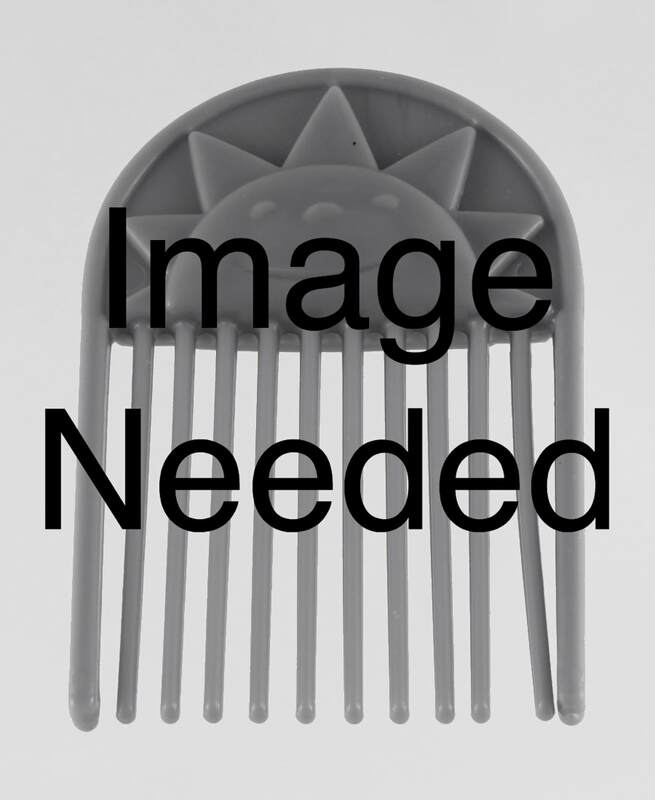 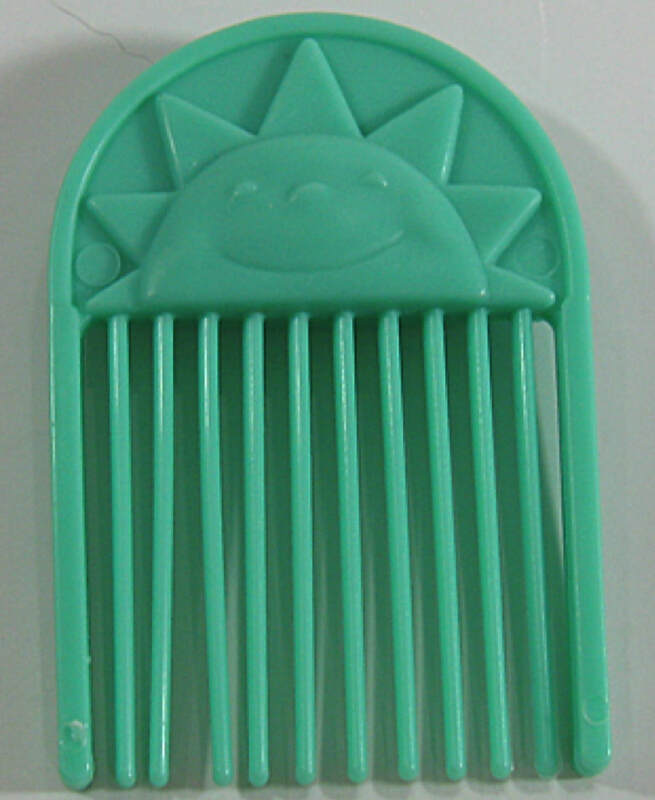 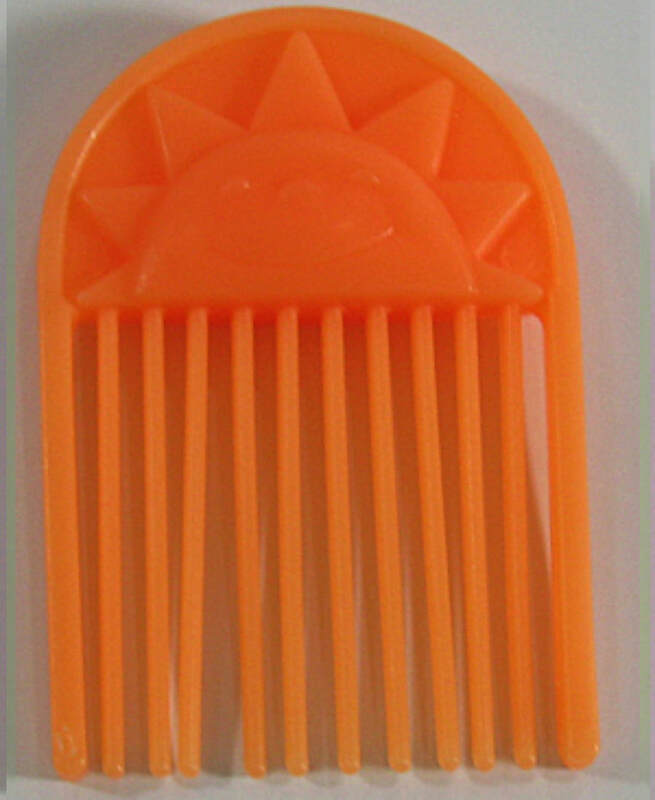 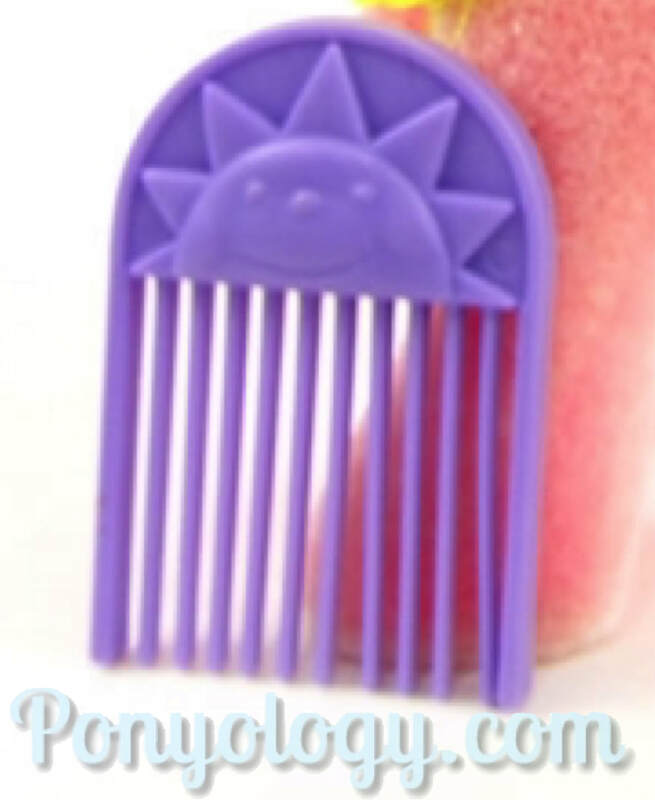 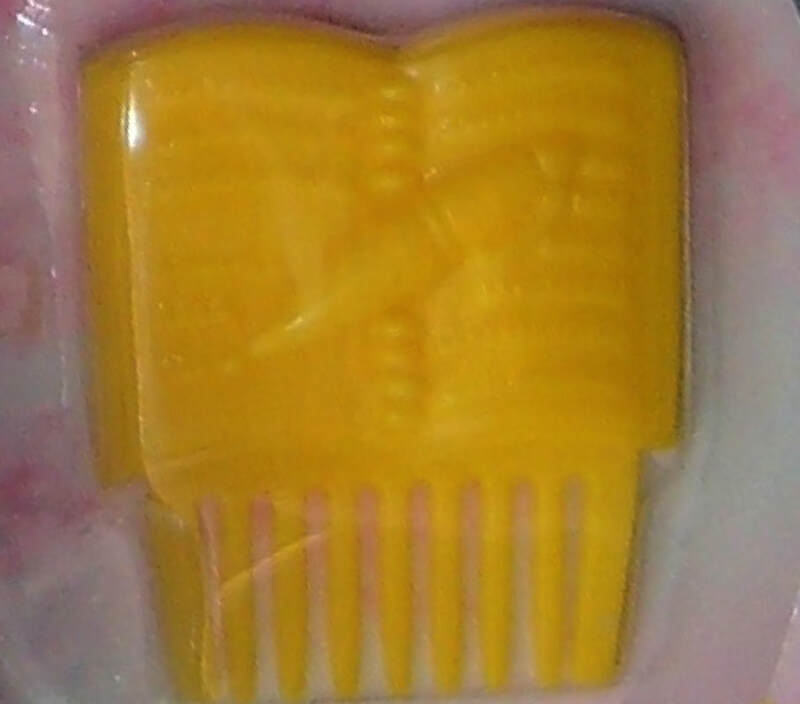 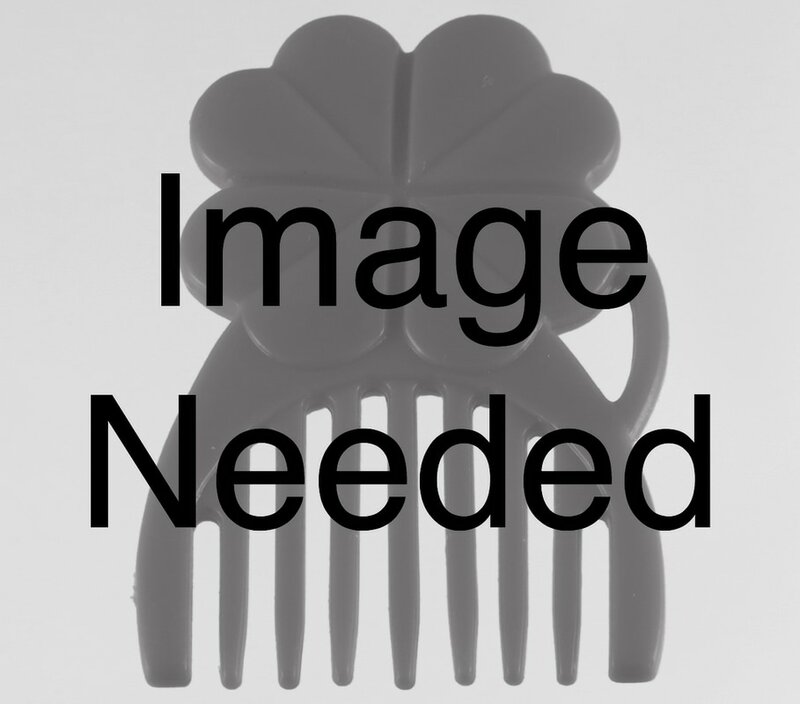 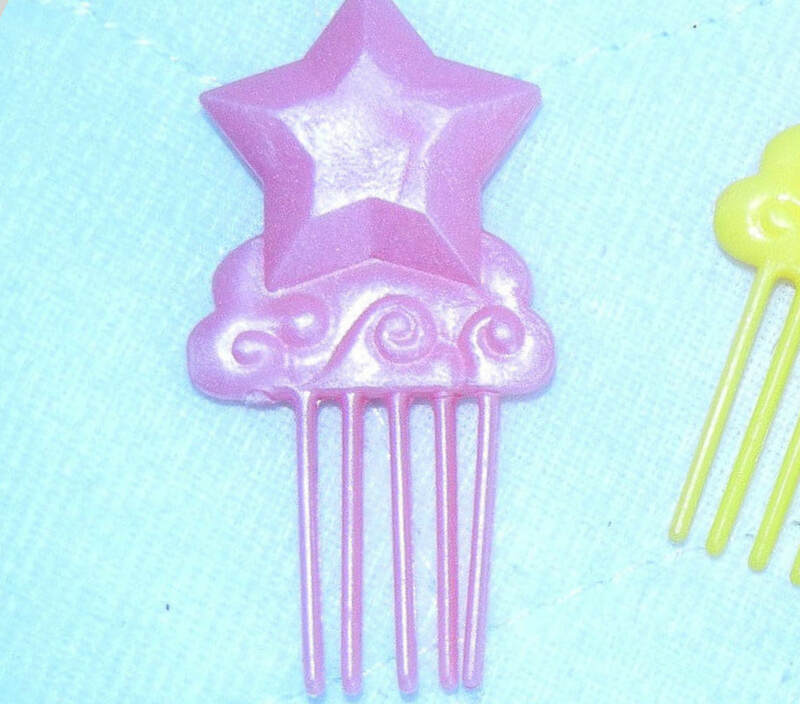 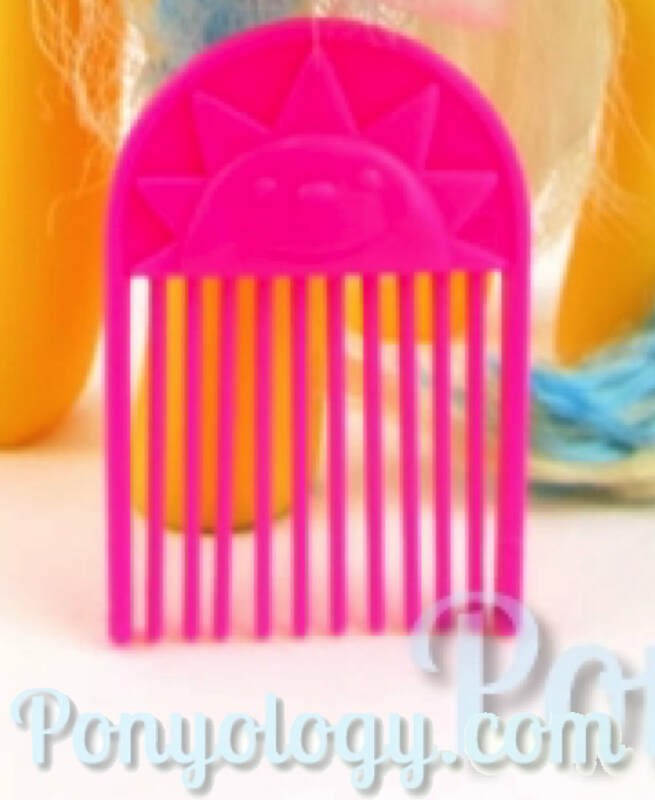 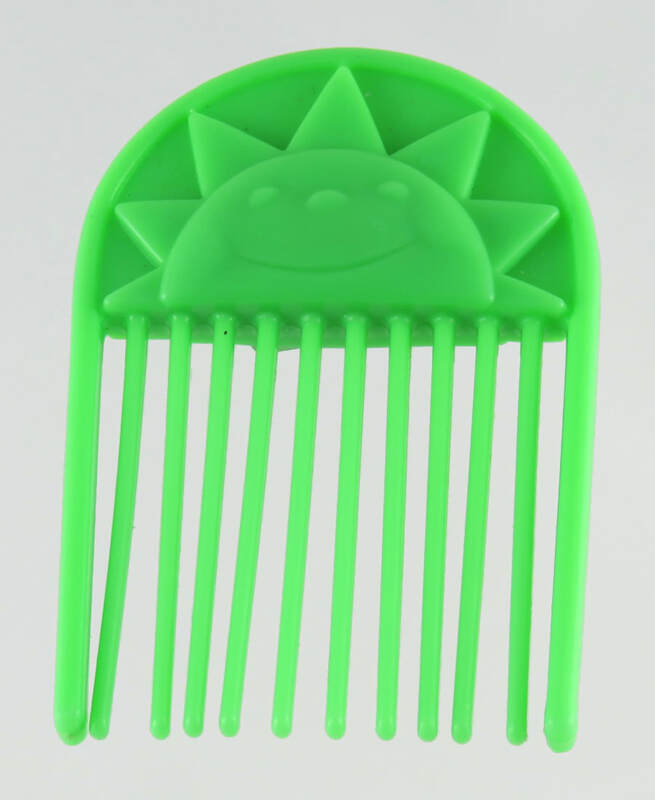 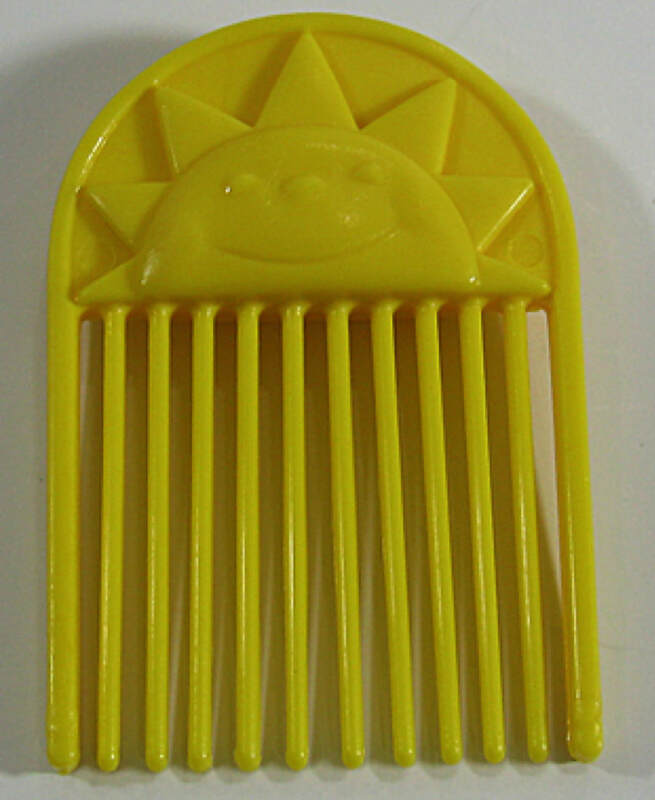 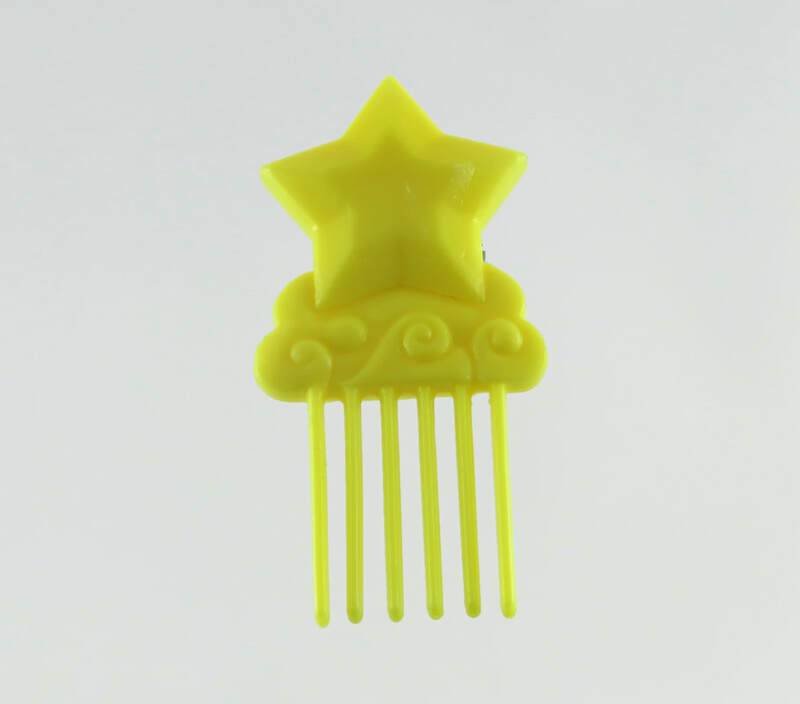 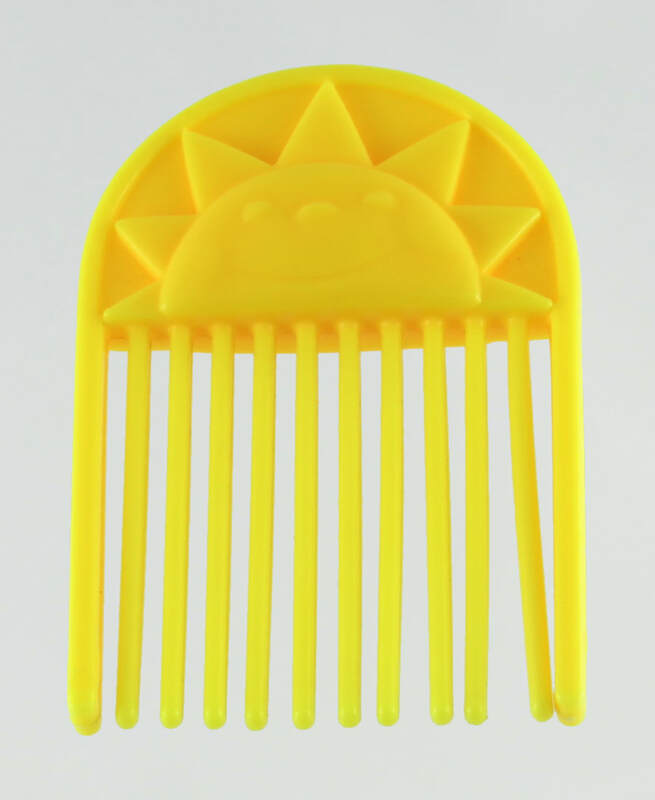 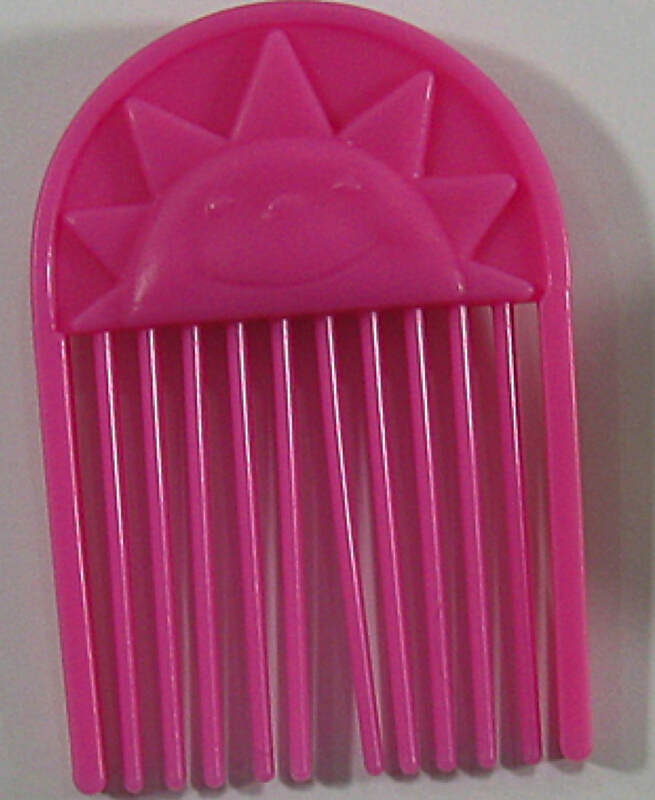 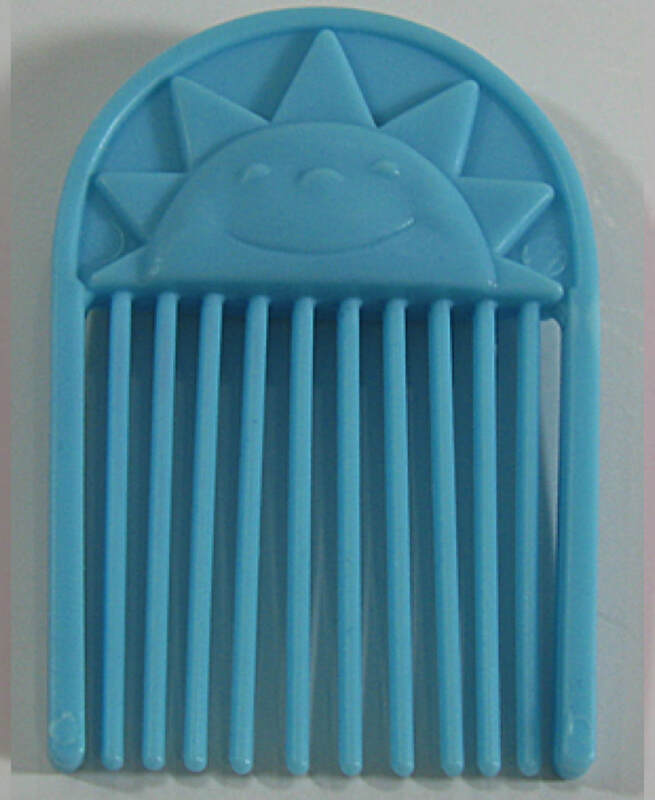 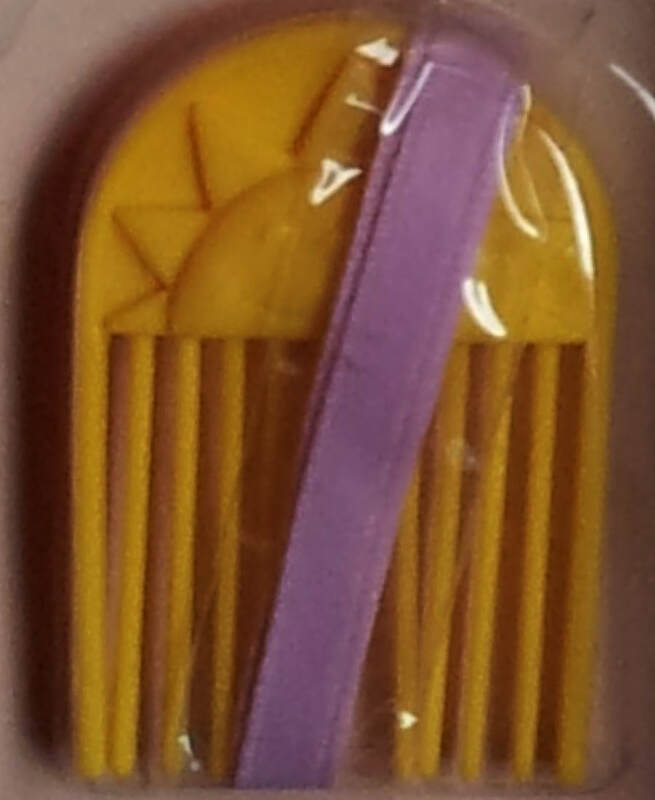 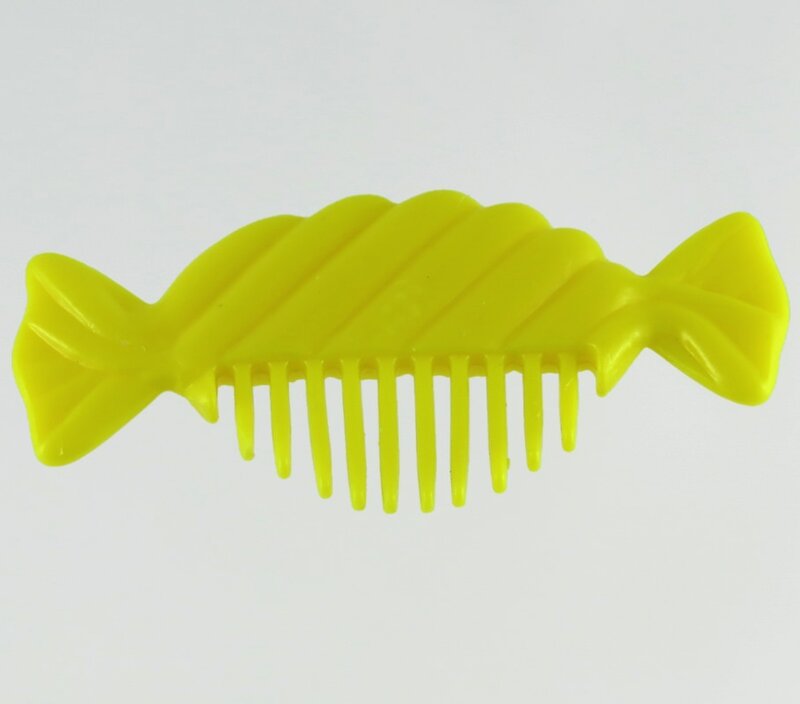 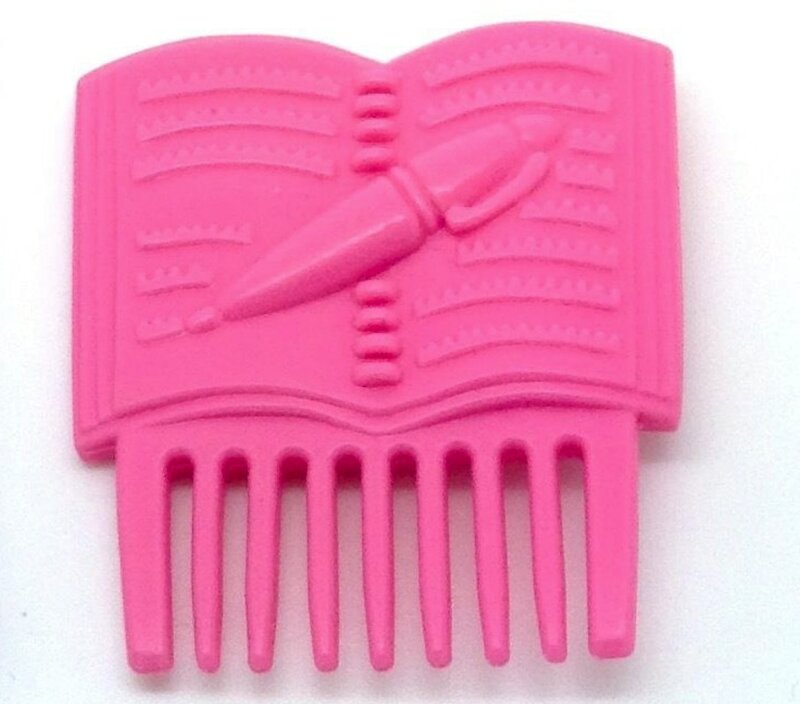 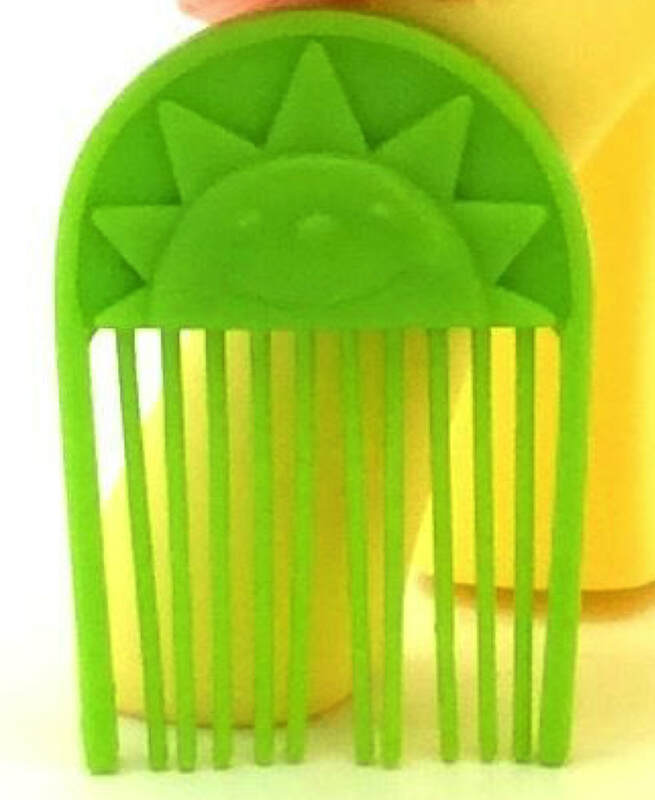 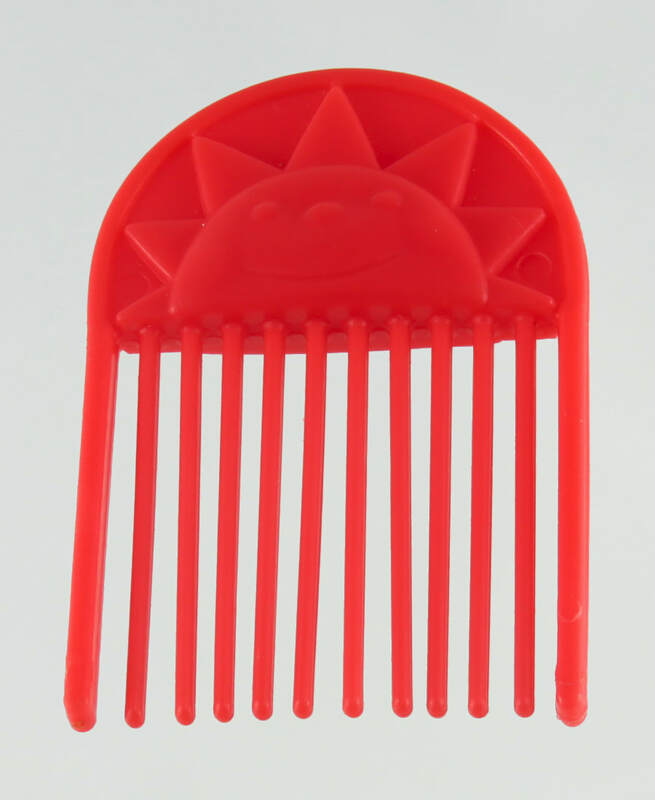 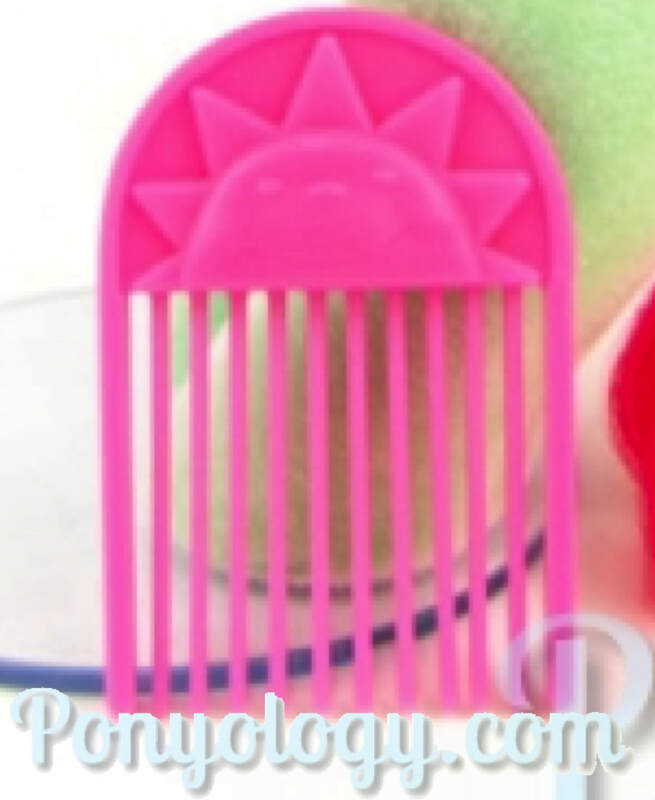 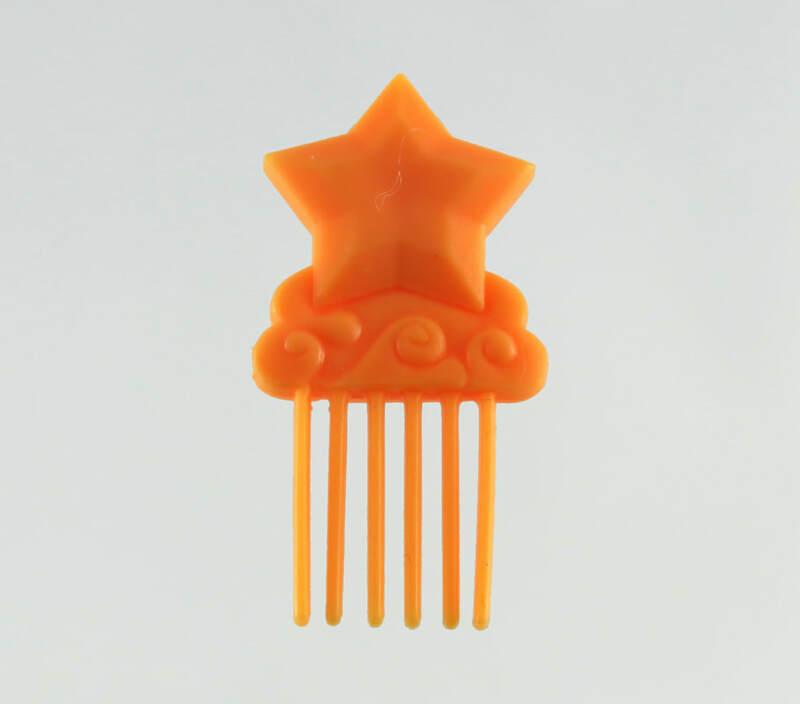 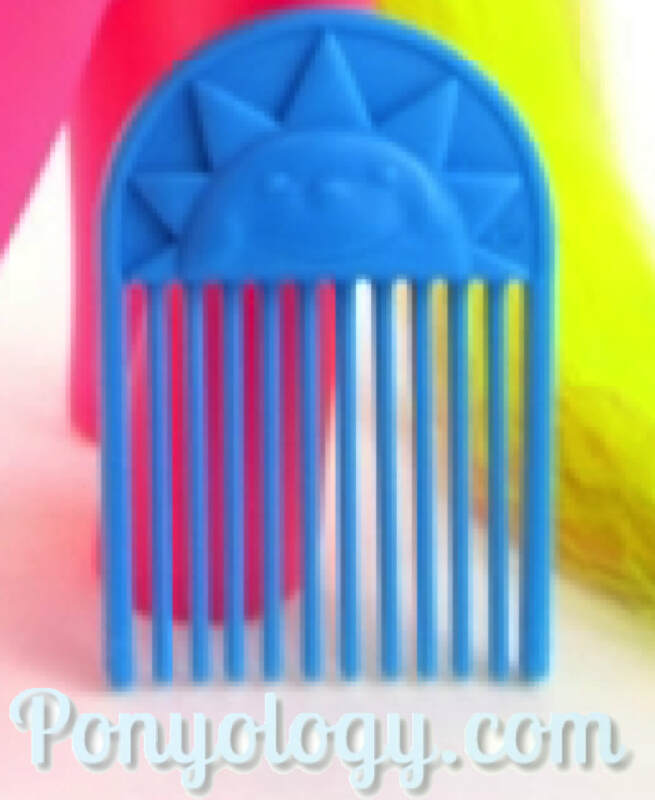 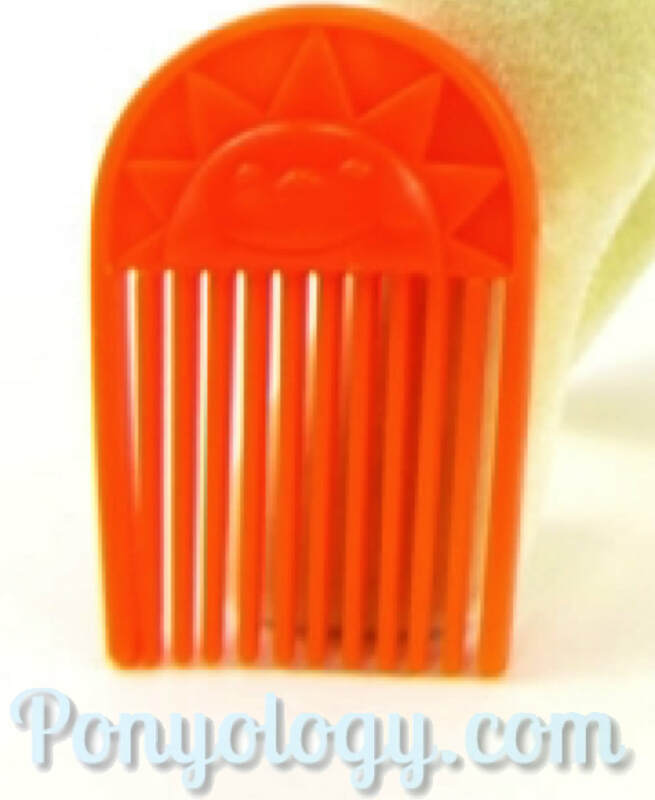 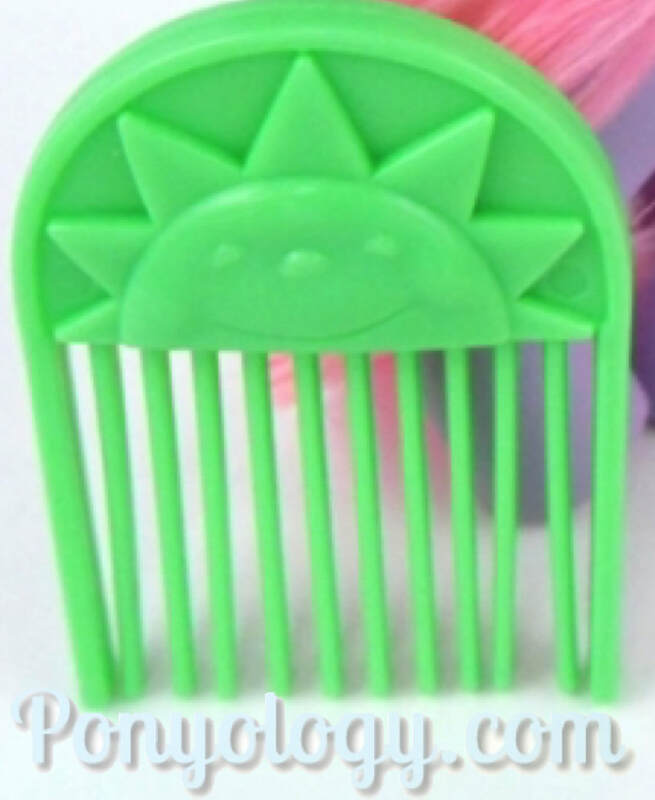 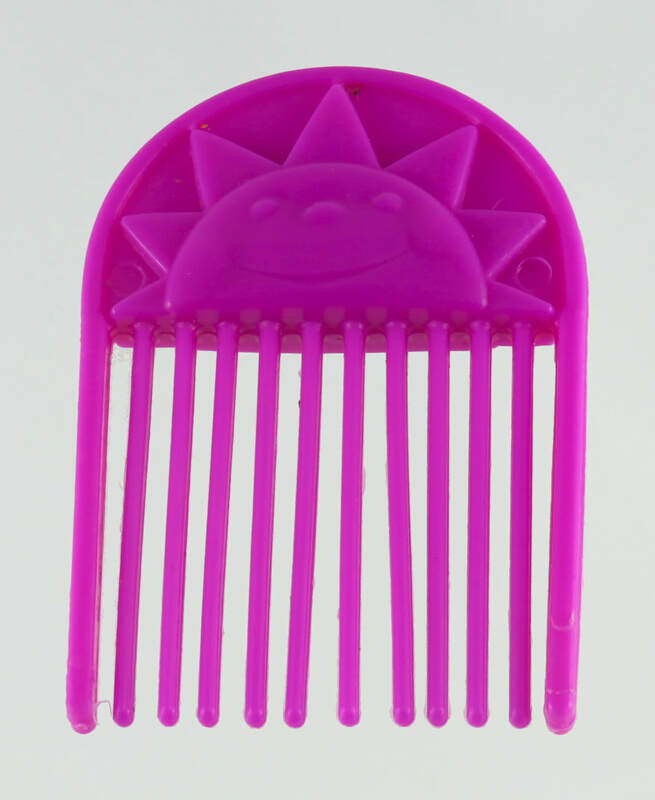 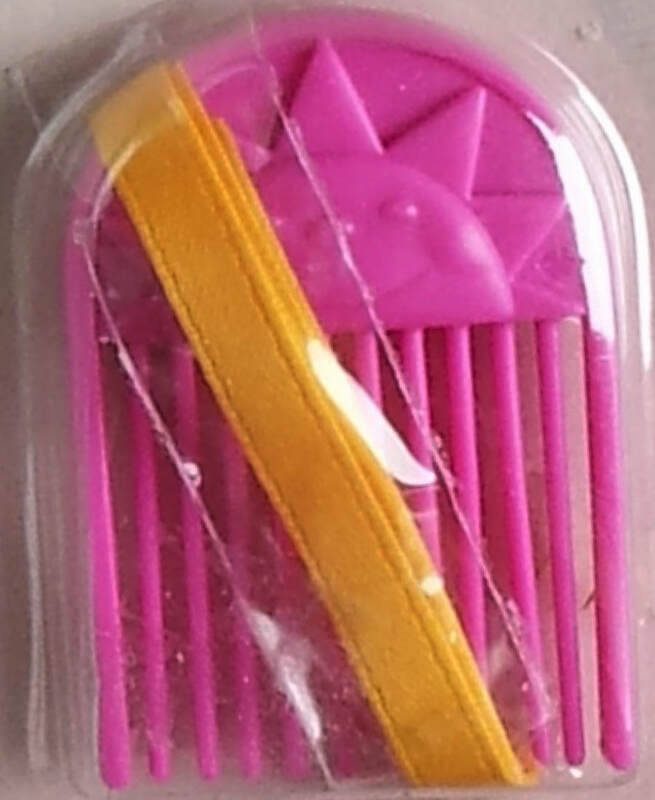 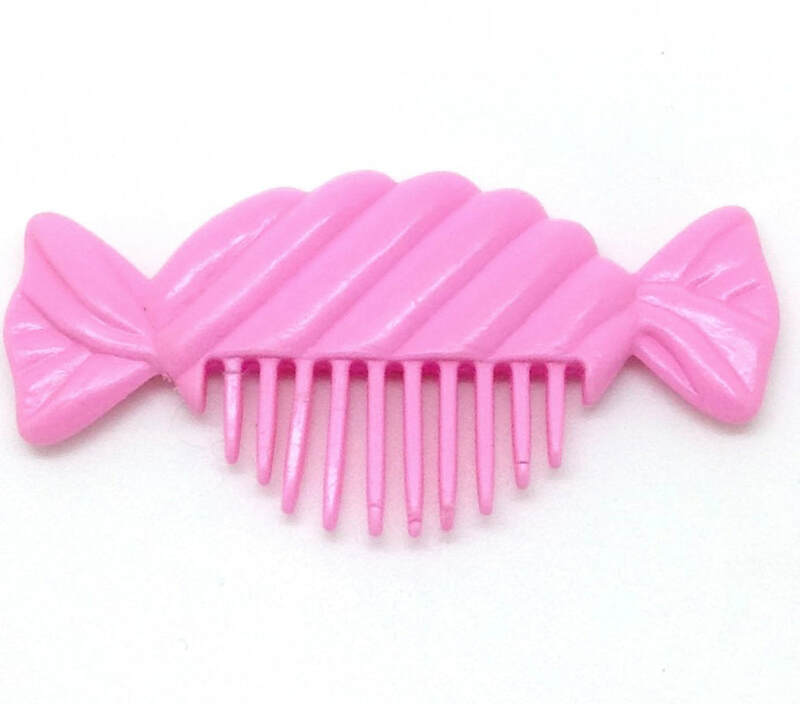 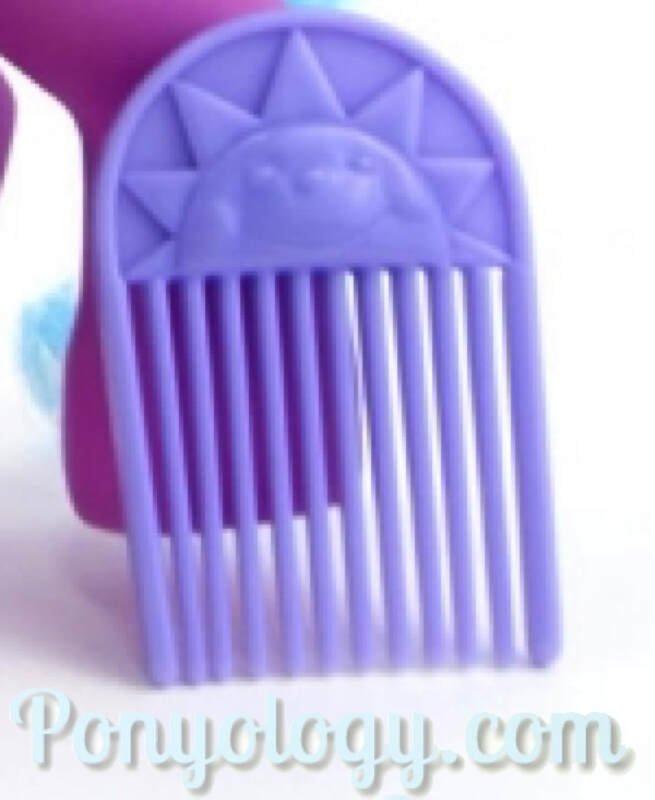 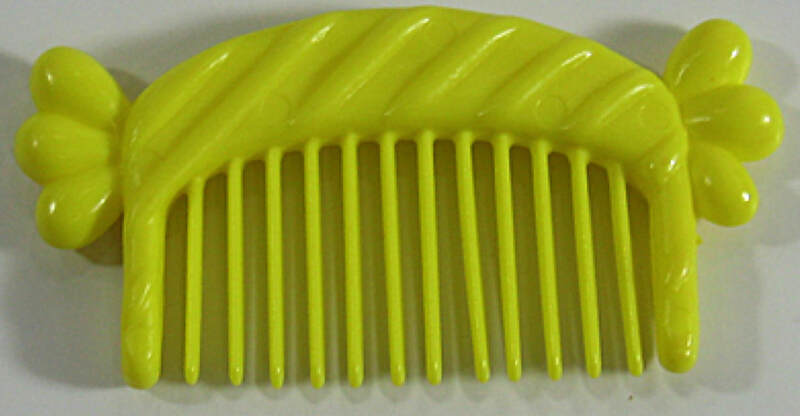 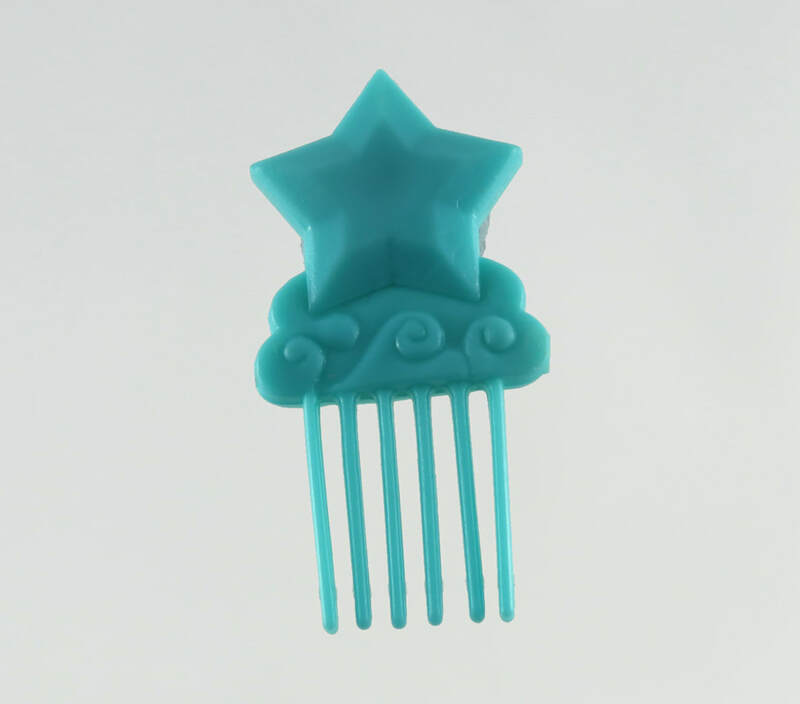 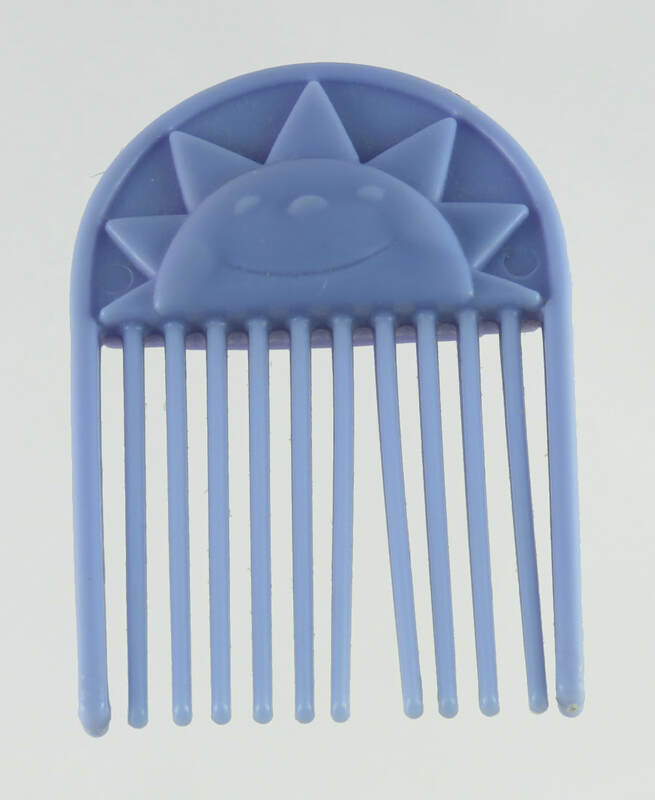 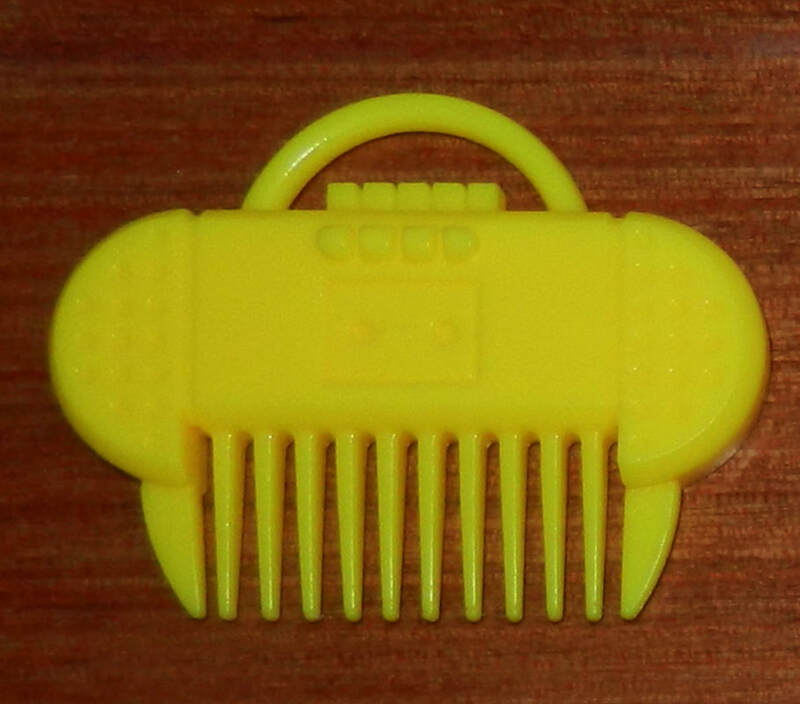 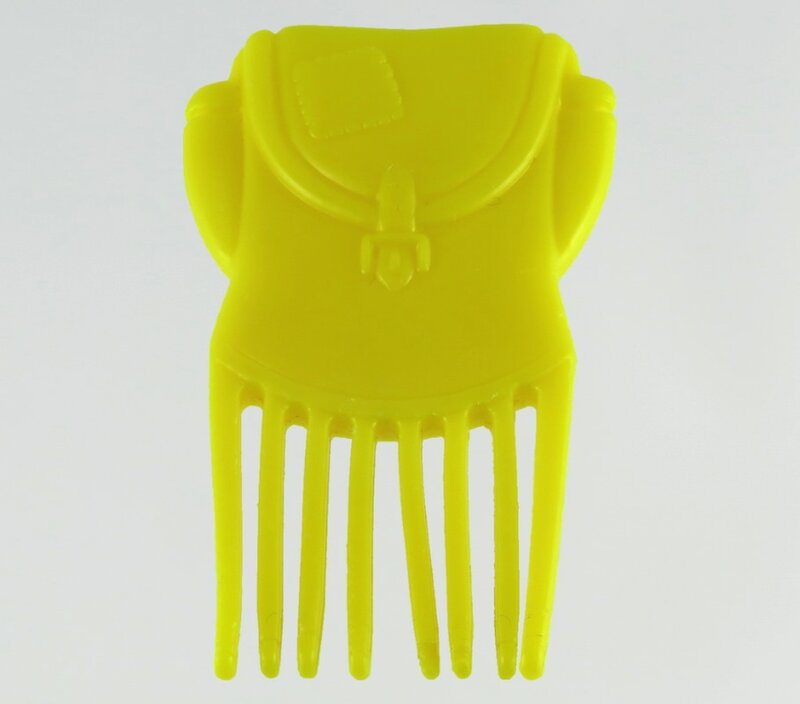 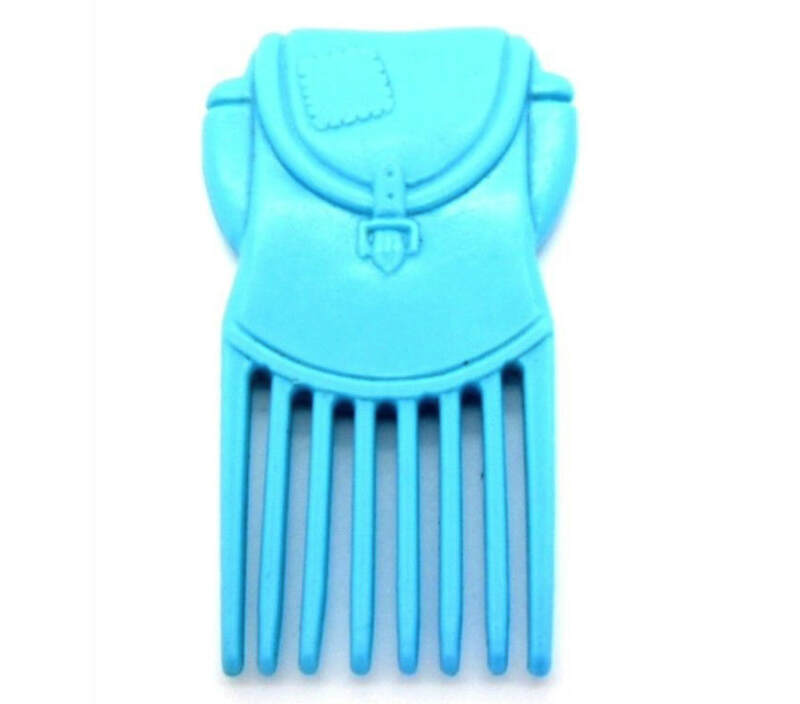 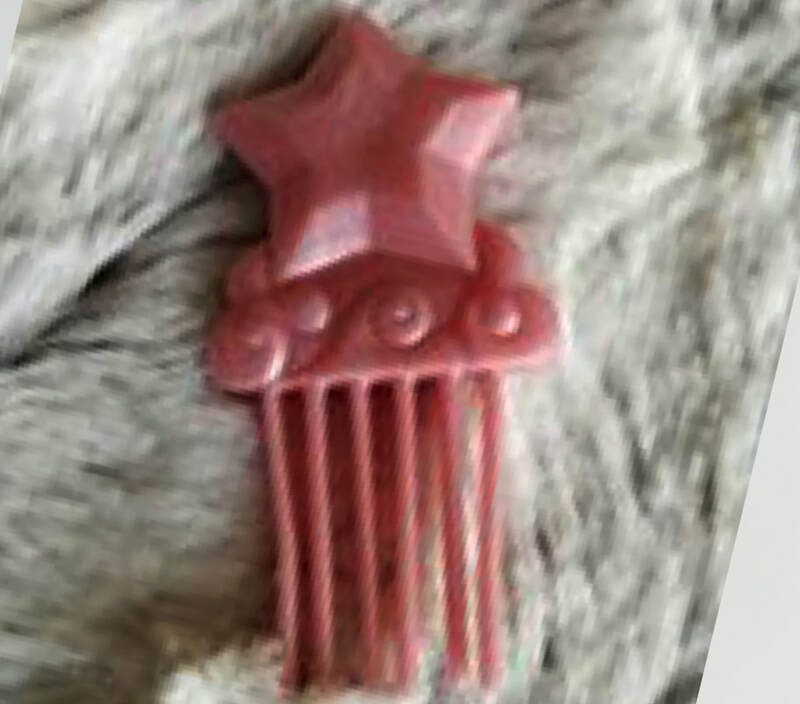 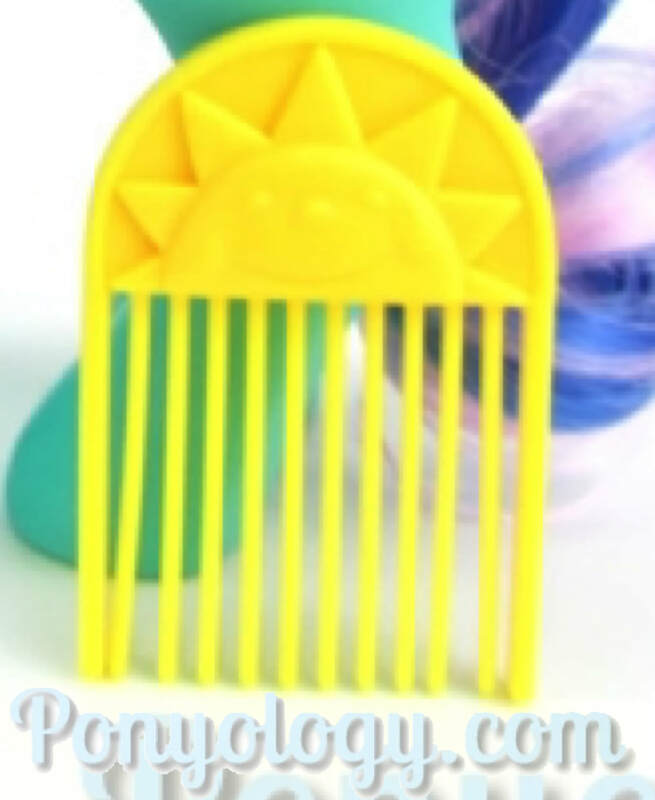 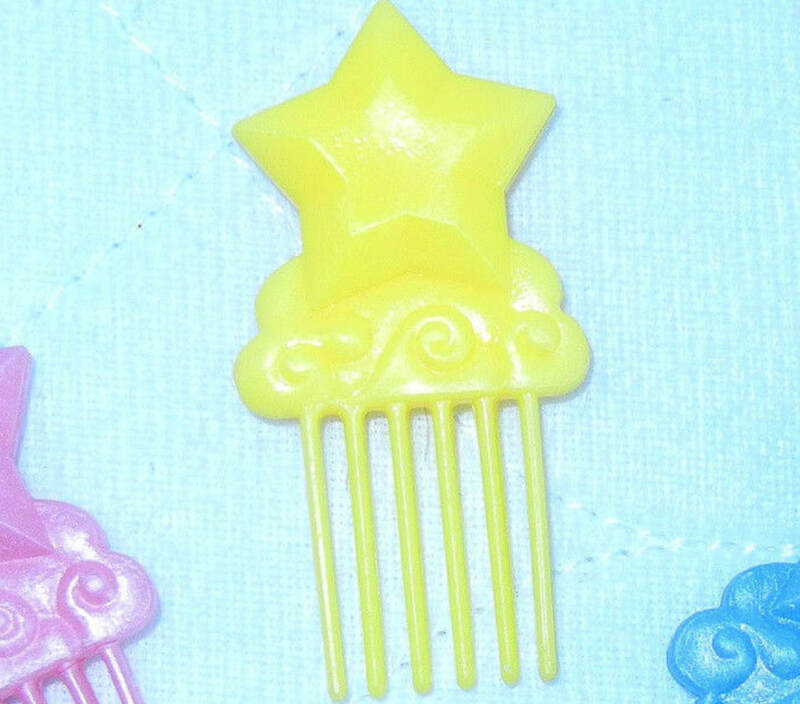 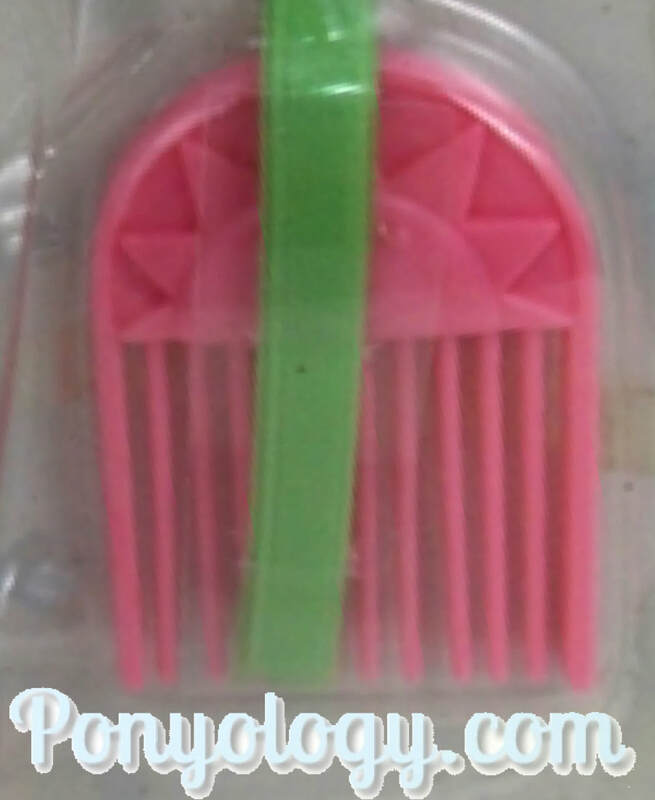 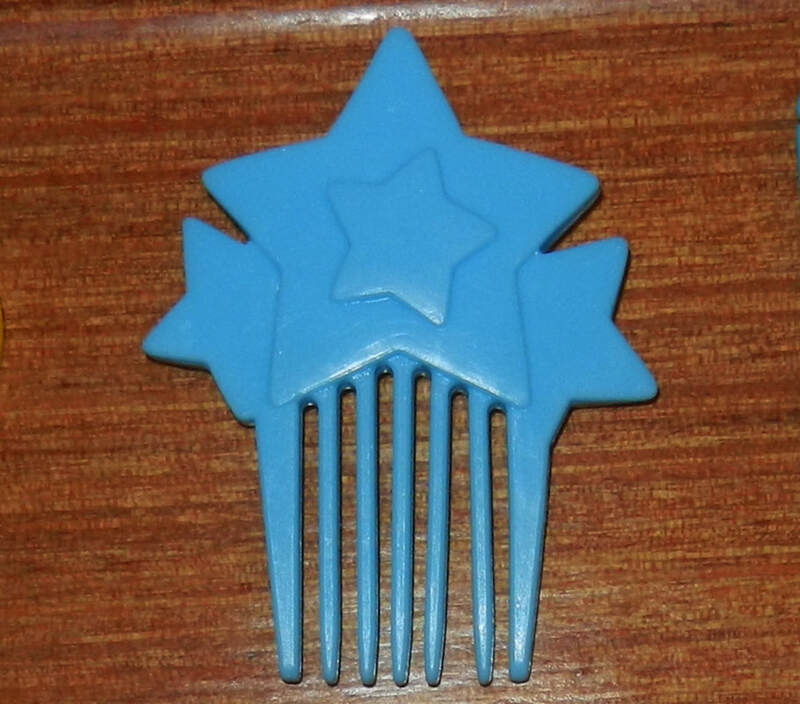 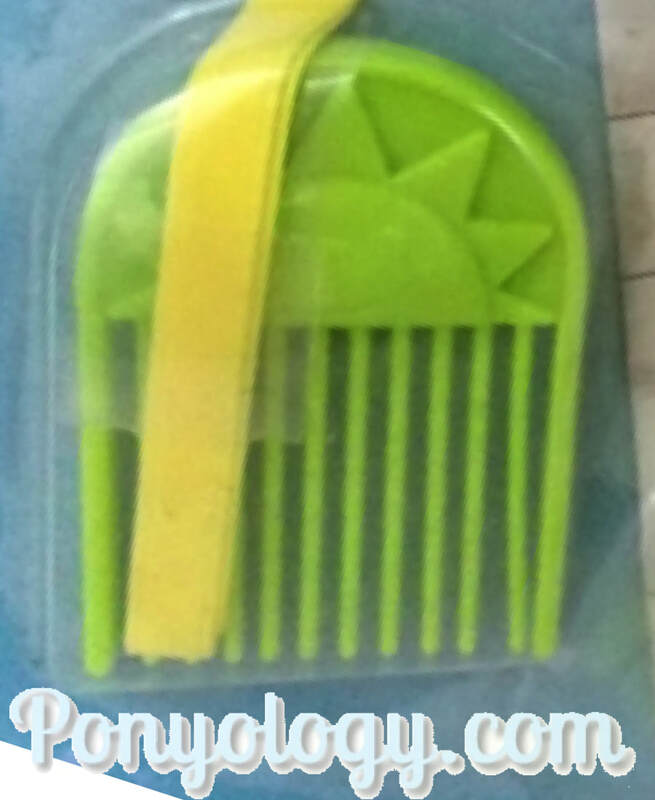 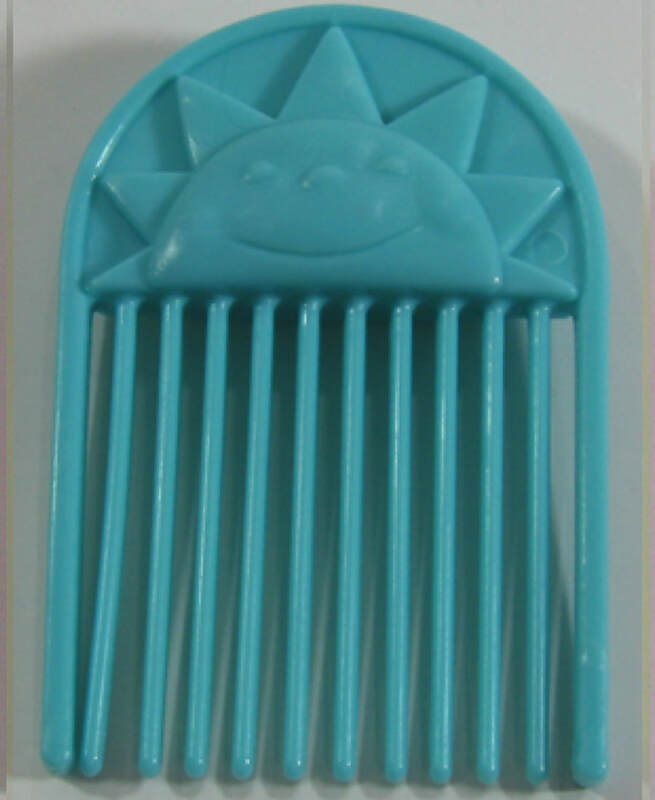 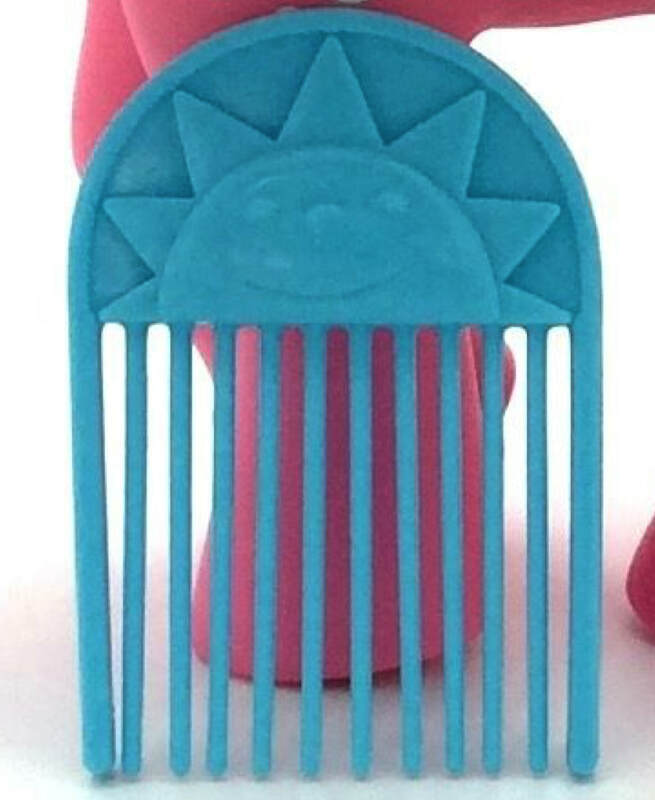 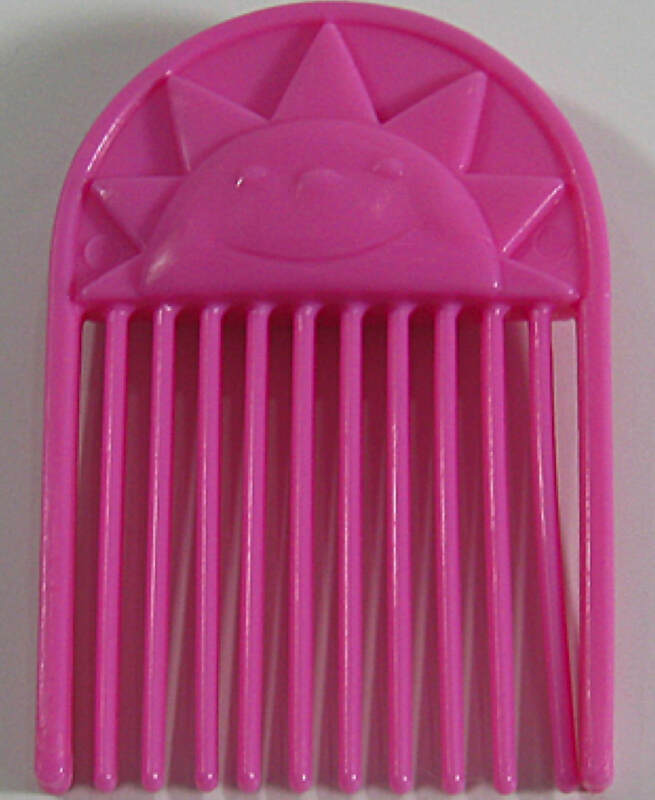 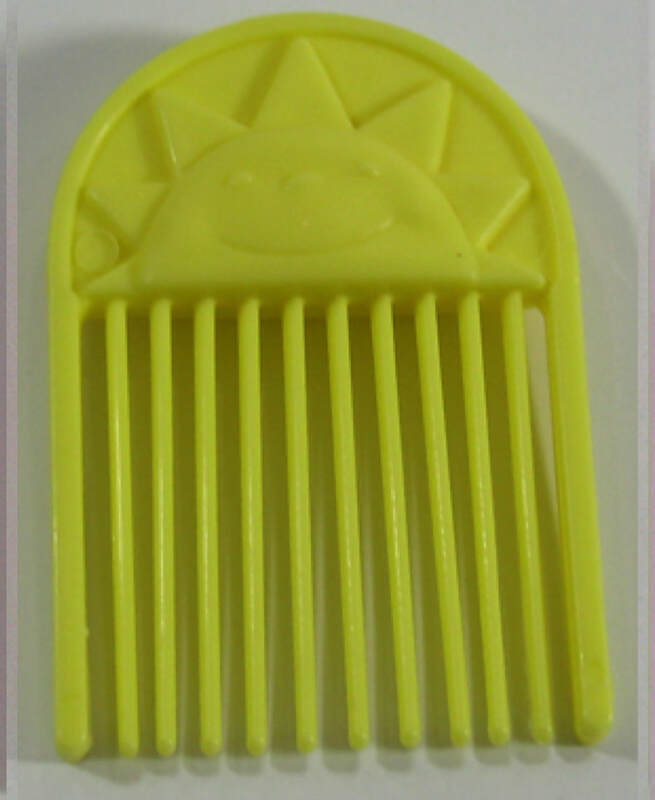 Each Pony from this set came with a unique comb to match their symbol. 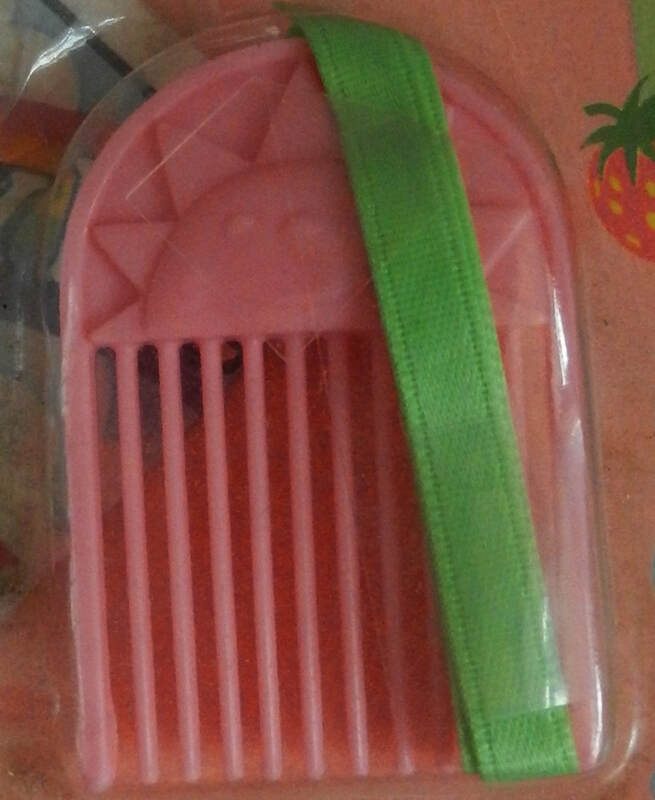 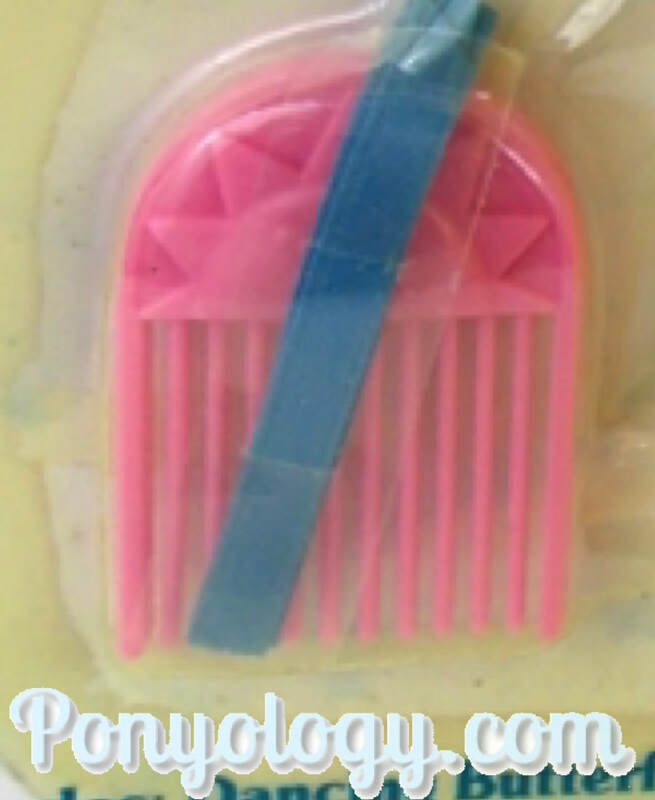 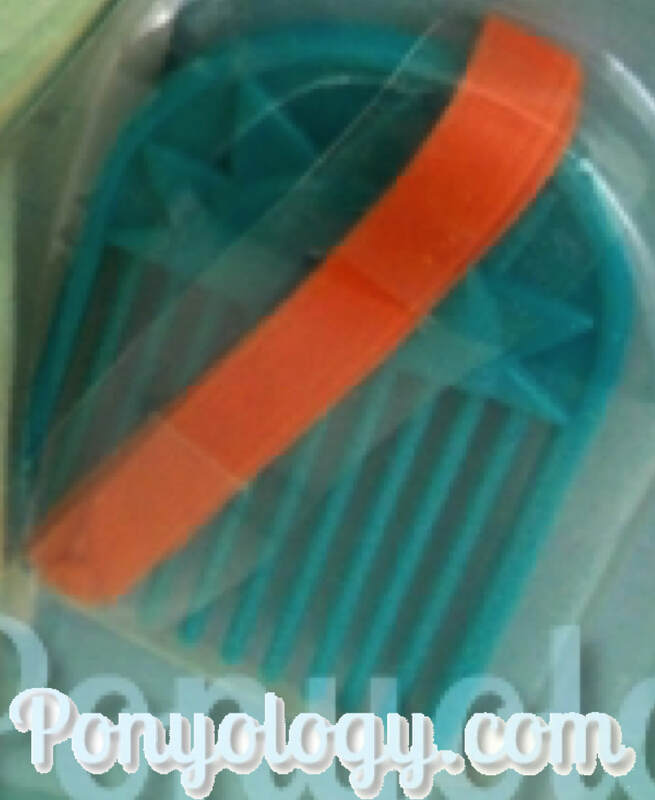 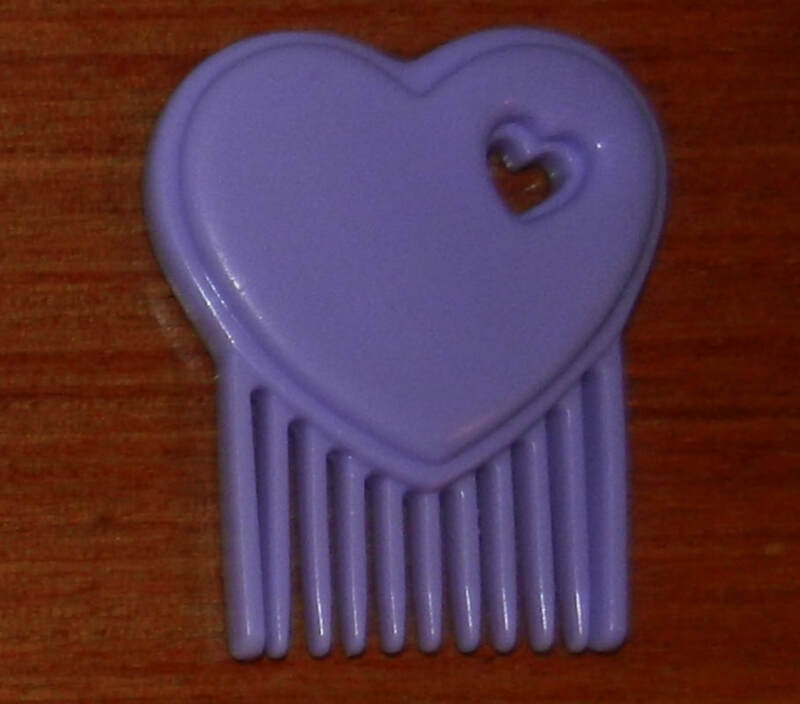 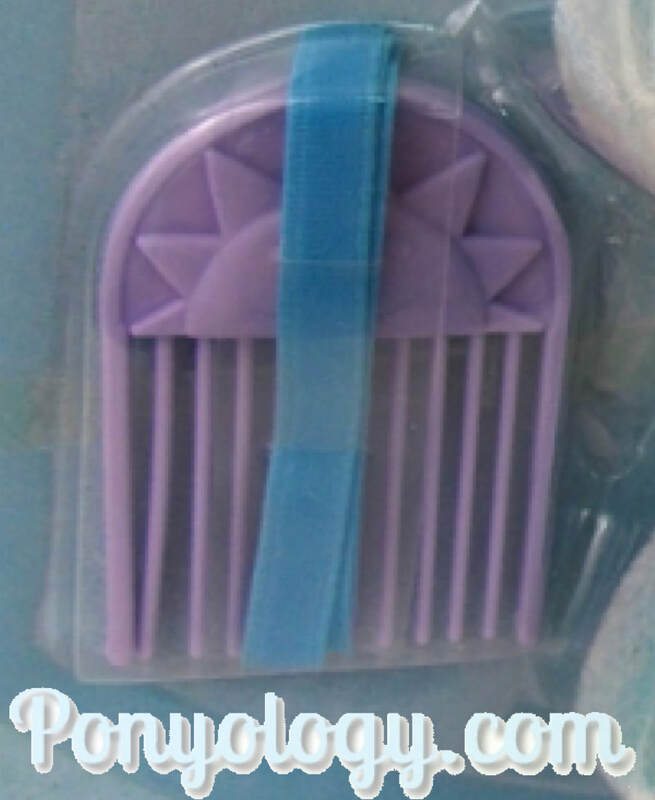 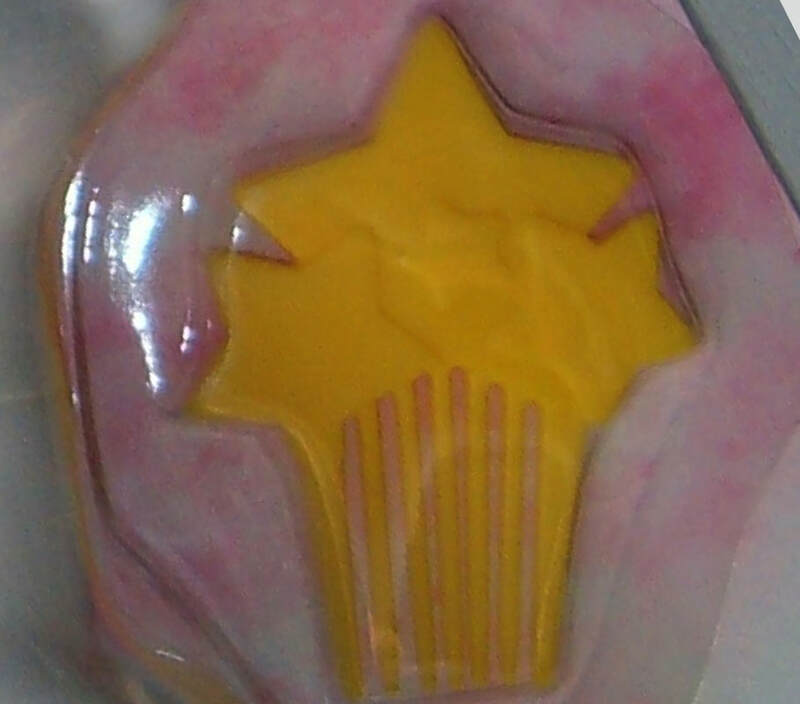 The set had two releases: One with a unique comb and ribbon, the second under the heading "7 Pony Friends" with their accessories replaced by a heart shaped sticker sheet. 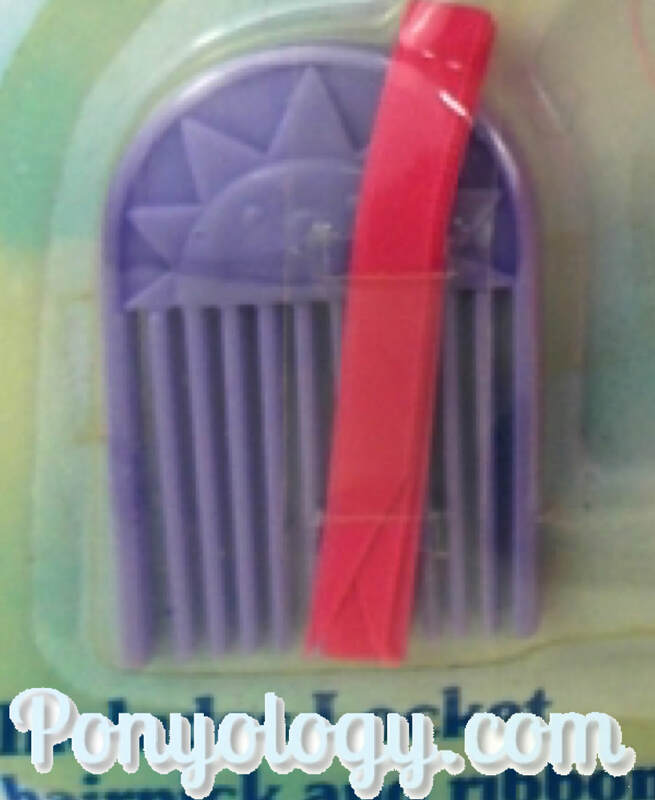 Please see "Adult Accessories" for further images.